Very Good. A scandalous revelation from New York Times bestseller Carla Cassidy-the most dangerous Colton yet is on the loose... Glued binding. 288 p. The Coltons of Shadow Creek , 1. Very Good. Colton's Secret Son (Harlequin Romantic Suspense) by Cassidy, Carla. Mass market (rack) paperback. Glued binding. 288 p. Harlequin Romantic Suspense, 1935. Good. 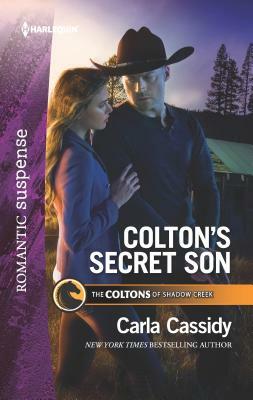 Colton's Secret Son (Harlequin Romantic Suspense) by Cassidy, Carla, 2017-03-07. Mass market (rack) paperback. Glued binding. 288 p. Harlequin Romantic Suspense, 1935.